Glaciers are a fascinating landscape feature of alpine regions. As such, they are perceived and valued by locals and tourists alike. 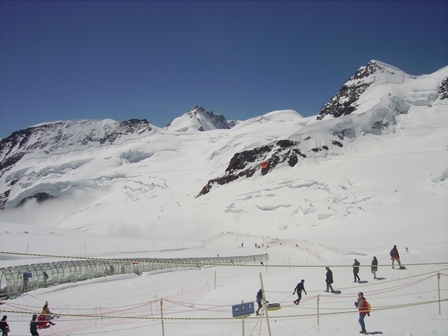 Today, the public at large is aware that most of these alpine glaciers are melting, a lot of them at an alarming rate. This development started with the end of the little ice age around 1850 and in recent years has greatly accelerated due to anthropogenic climate change.